Nike has finally unveiled its latest Air Max silhouette - meet the Air Max 270. The 270 is the first Air Max shoe designed specifically for all-day comfort, rather than sports performance. It takes inspiration from the Air Max 93 and Air Max 180, to create an all-new, thoroughly modern sneaker. The most prominent feature on the 270 is the newly-engineer Max Air unit, which is actually the tallest air bubble Nike has ever made, measuring 32mm. 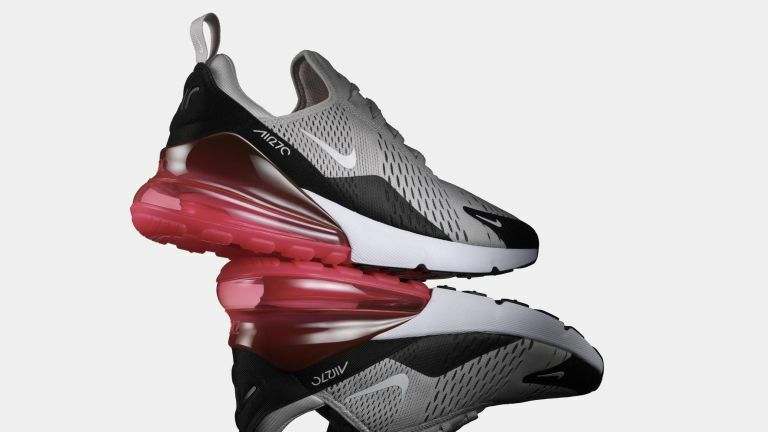 The company claims it offers greater impact adsorption, providing a trampoline-like effect, while the '270' miniker comes from an internal Nike epithet for the Air Max 93, which referred to the 270 degrees of visibility in the air unit. “Originally, the idea was to mash up the Air Max 93 and the Air Max 180 and build a new, more refined silhouette incorporating elements of both,” says Dylan Raasch, Senior Creative Director of Nike Air Max. The new Nike Air Max 270 will be dropping on 1st February, available from the SNKRS app and select retailers. Nike has also confirmed we can expect the 270 Max Air unit to make an appearance in a variety of silhouettes/colours in 2018.